A feature of the Friary Chapel is the presence of a labyrinth. A labyrinth is a meandering path, leading to a centre which is used symbolically, as a walking meditation. Labyrinths are evocative places that can be used as a for reflection and prayer and ceremony, privately or in a community setting. 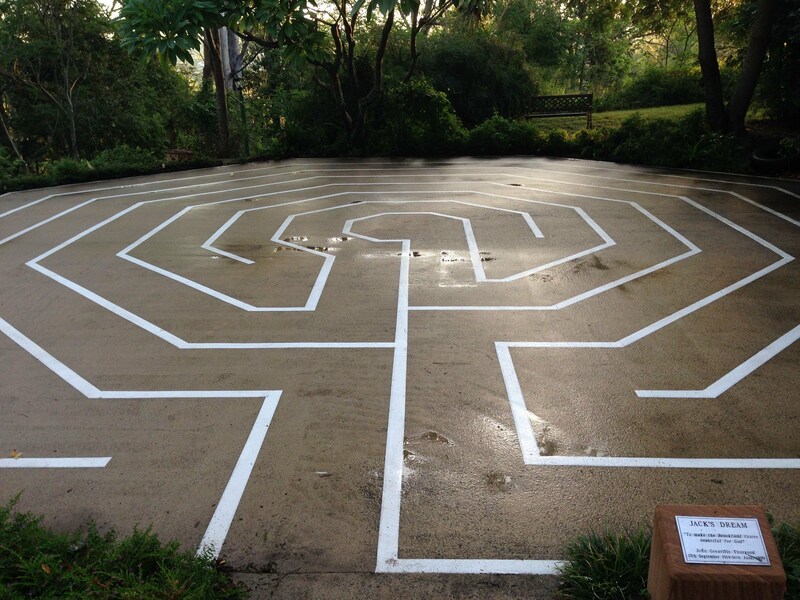 Our labyrinth is surrounded by a quiet natural setting and provides a peaceful place to be. Everyone is welcome to come and spend some time walking the labyrinth for your own peaceful purposes.